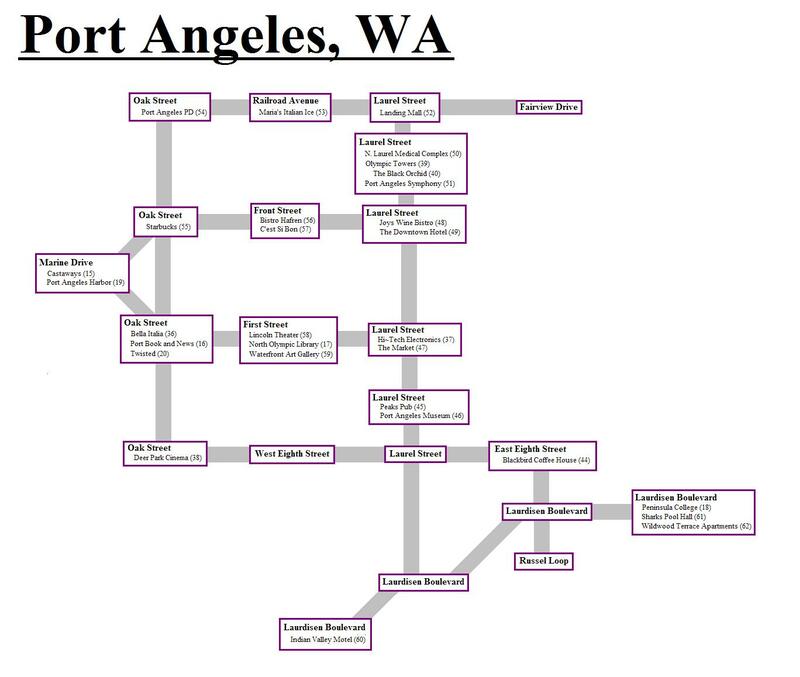 Port Angeles is the nearest large city to both Forks and La Push, at approximately 60 miles away. It's certainly more of a tourist destination - it has cobblestone streets with unique stores and boutiques, fancy restaurants, and a movie theatre. There also an industrial district in Port Angeles and a large amount of suburban housing. 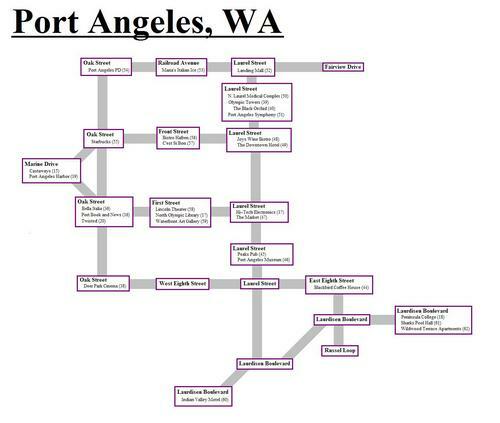 Many individuals in Forks or La Push might commute to work or college in Port Angeles. Anyone serious about shopping, going on a date, or finding a solid, high paying job is probably going to have to go to Port Angeles.